On April 11th, 2014, gays will be celebrating their annual “Day of Silence” in public schools across America. 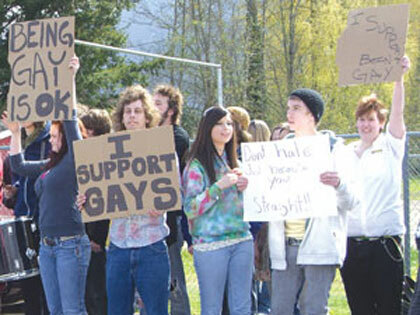 As always, Christian students are responding this year with a “Day of Shame” when they are encouraged to express their opinion that homosexuality is immoral and a sin against God and His design. Don’t be bullied into silence by the pro-gay agenda! Speak up, speak out, and don’t be ashamed to be a Christian! Watch this website for more information as the date approaches.